You finally hired the best candidate for the job opening that you have been trying so hard to fill. Phew! Nowadays, it’s difficult to get the right skill and experience match. Even then, to attract the right talent and get them to accept a job offer requires more than just a salary match. So great job, you! But hey, don’t rest on your laurels yet because if you do, you are sowing the first seeds of trouble. Well, there is always a time gap between the acceptance of a job offer and the new employee’s first day at the office. More often than not, this is due to the necessity of a notice period the employee must serve in their current organization. The big risk during this gap is that the candidate may consider other job offers that come their way. Surely, you are not the only person they are talking to! Fret not; you can use this time gap in your favour. If planned and executed well, you will be able to not only dissipate the big risk of the candidate taking another lucrative offer but also smooth the onboarding process for the future employee. Before we hand over the secret sauce recipe, put your brilliant thinking cap on and ask yourself what makes someone apprehensive before starting a new job. This thought exercise is quite easy because we all have gone through such moments of doubts ourselves in our professional careers. I understand the job description on the job ad but day to day what will I be doing? Who will I be working with and what are their personalities? Am I taking the right career decision? Will I be better off than where I am now? With these questions, many doubts get sewn, and more doubts flower to cloud the new hire’s mind. Can you allow such doubts to appear and prosper in this candidate after all the hard work you have done to recruit them? Employee engagement is not just a fad. It is the most important ingredient to keep an employee motivated to perform and be happy. In a super connected world, finding quality candidates is like finding a pot of gold. Just like any human relationship, the more you nurture and invest early on, the better your chances are of getting the employee engaged and job ready by making them feel included, empowered to own their responsibilities, and understand the impact of their job has on the success of the company. Souvik Majumdar is Chief Customer Success of GroSum, a cloud-based performance management software that helps build a goal-oriented and continuous feedback-based work culture. 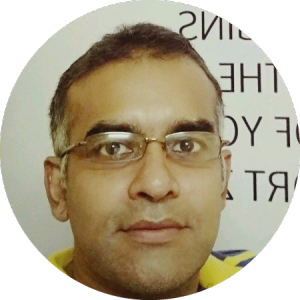 He is passionate about employee engagement and has spent the last decade working with organisations to improve their performance management processes and implement online systems.